ENJOYING a reputation for its worldly selection of music, The Flat is a lounge and music venue favored by Houstonian’s looking for an intimate venue with character. 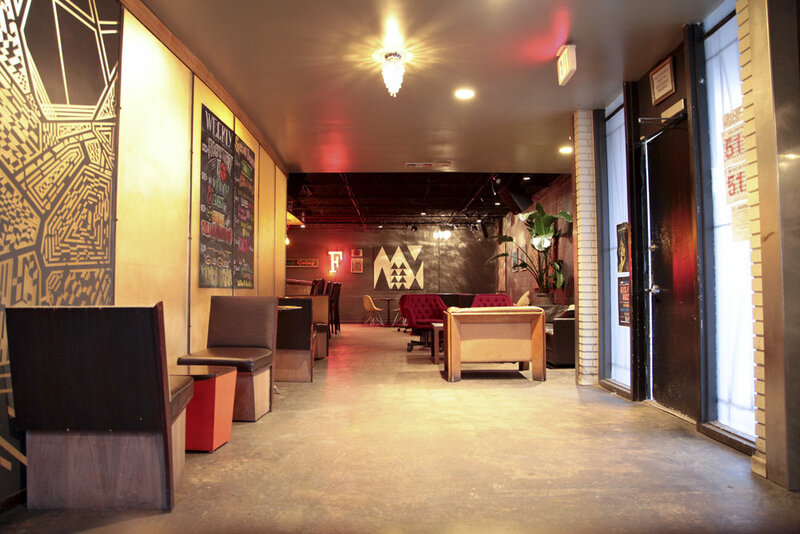 With more than 2,500 square feet of space, The Flat offers an indoor lounge and outdoor patio perfect for hosting personal or professional gatherings, book readings, live bands, artexhibits, interactive performances, film shoots, and videoscreenings. To reserve space for your event please email djsun1@me.com. We have an indoor and outdoor bar with craft cocktails; inquire about having a specialty cocktail made for your event, a great way to entice more people to attend! We are mindful of the event experience you are hosting and provide an atmosphere appropriate for conversation. We make catering easy by giving you a selection of delicious flat bread pizzas and finger foods from our very own menu. You are welcome to provide your own food from a vendor of your choice. 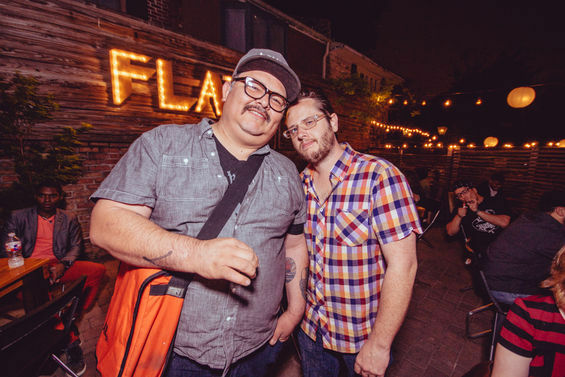 We’re tapped into a skilled and worldly line-up of DJ’s for your event here at The Flat, or for your event at another venue. 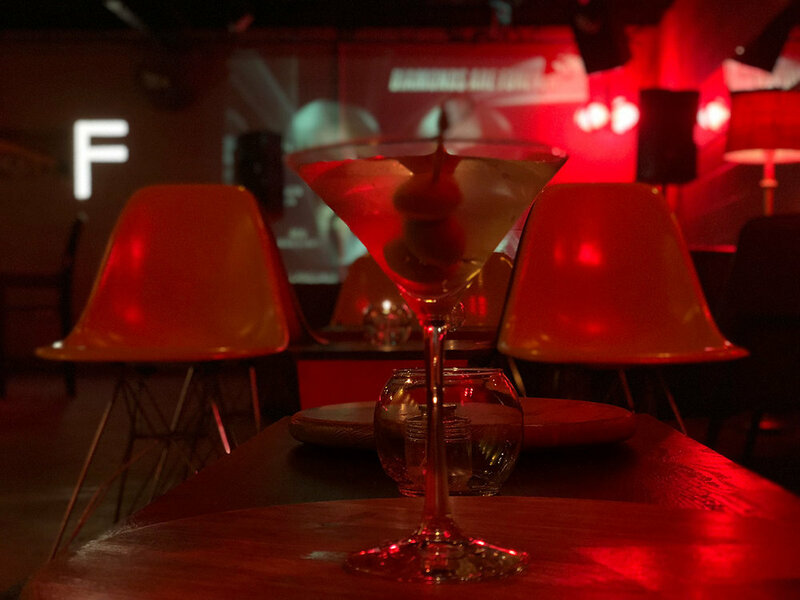 We have A/V capabilities and can host live music, presentations, book readings, film screenings, open mic events, or any endeavors you are eager to share. 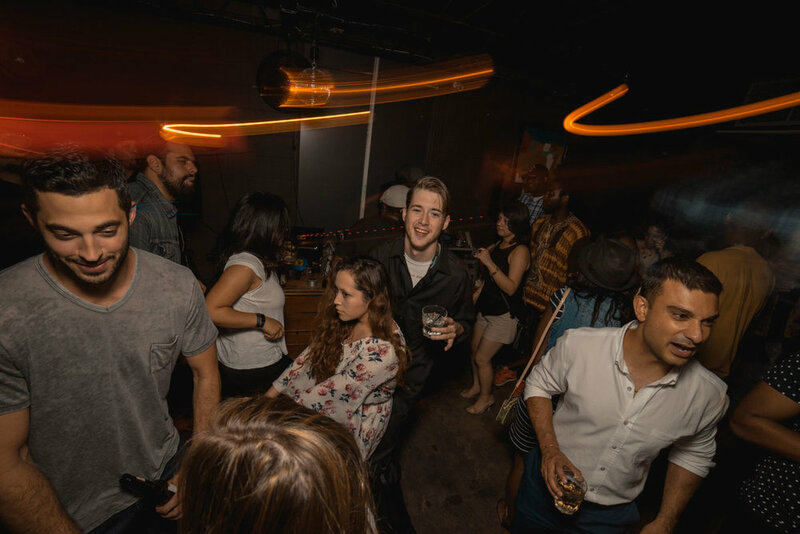 The easiest happy hours I’ve planned for our organization, all we had to do was show up.